Club Badge – Welcome to Tudor Times! 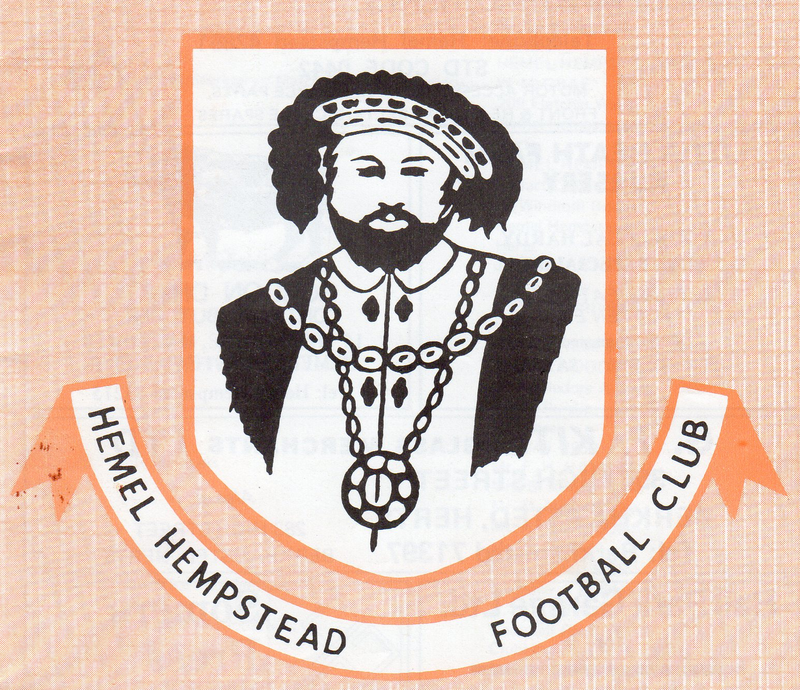 The current badge of Hemel Hempstead Town Football Club is the image of King Henry VIII which has featured for many years on a plaque at the front entrance to Dacorum Borough Council’s Civic Centre in Marlowes, Hemel Hempstead. This particular image seems to be based on a 1536 painting of King Henry VIII by Hans Holbein the Younger, considered the quintessential portrait of Henry VIII; it was done around the time of Anne Boleyn’s execution and in the original painting real gold was used to detail the sleeve and the king’s jewellery. The Tudors have used this badge since the 1999/2000 season, although it did previously feature on the clubs’ programme cover for one season in 1994/95, as illustrated below. 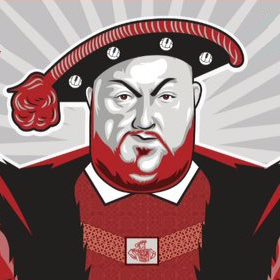 From 1981 to 1999 (apart from 1994, as mentioned above), The Tudors badge featured a familiar image of King Henry VIII, which seems to be based on a painting (again by Hans Holbein) done in 1540; this was a mural of the Tudor dynasty commissioned by Henry which originally occupied an entire wall in Whitehall Palace, which had been designated the official residence of the monarch just a year earlier. The mural was destroyed during a palace fire in 1698. Luckily, King Charles II had already commissioned a small copy thirty years before by the Flemish artist van Leemput in 1667. 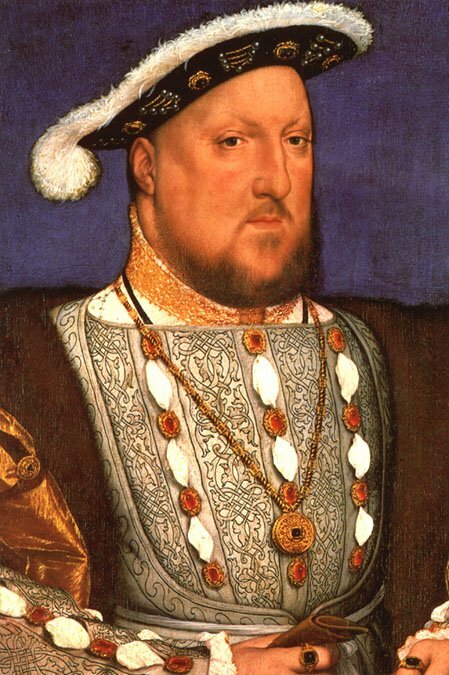 Many other unattributed paintings of King Henry VIII are based on Hobbein’s original, hence the pose is one of the most recognisable of the King. 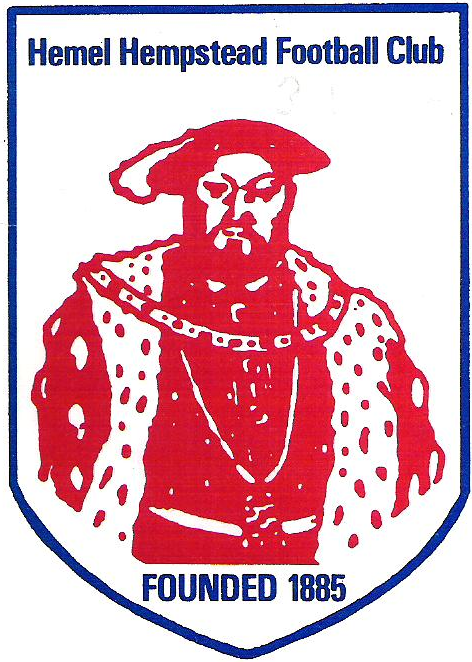 An unattributed image of King Henry VIII (illustrated below) was featured on the clubs first badge in 1951; prior to then there is no record of the club having an official crest and 1951/52 was the first season where the team photo clearly showed a crest on the kit; the club had changed its name from Apsley to Hemel Hempstead Town three years previous. 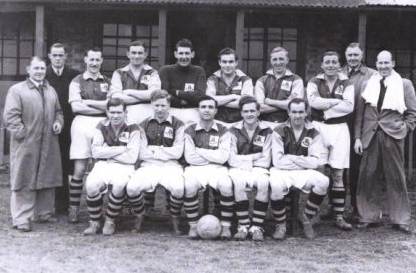 This badge lasted just under thirty years before being replaced in 1981, remaining in place throughout the clubs move from Crabtree Lane to Vauxhall Road and the merger with Hemel Hempstead United. 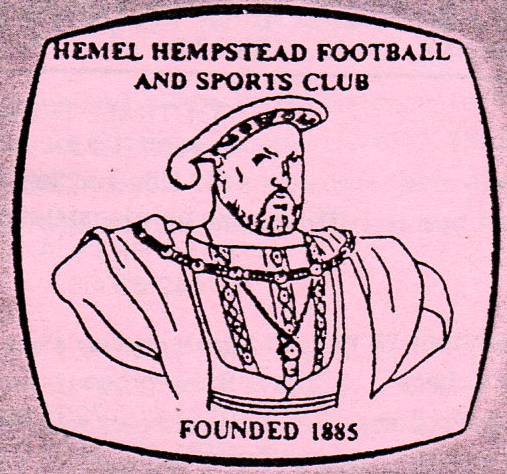 The link between King Henry VIII and our town is his granting of a Charter of Incorporation to Hemel Hempstead on 29 December 1539. 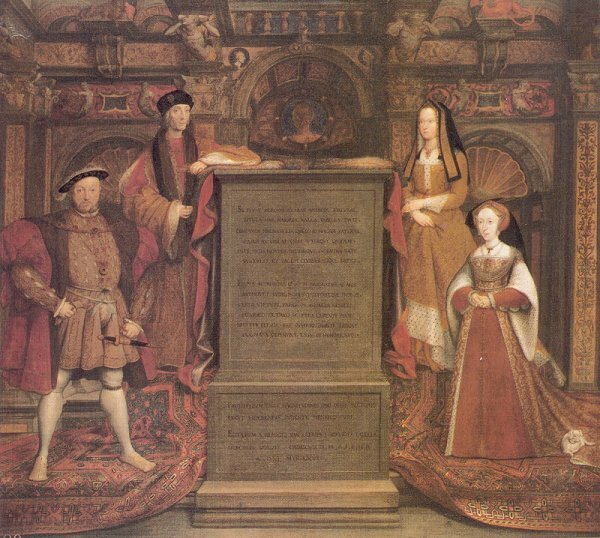 Previously, local people used the markets of Berkhamsted or St Albans, but King Henry VIII’s charter gave Hemel a weekly Thursday market of its own (together with the right to hold a ‘Court of Piepowder’. This was a corruption of the French ‘Pieds Poudres’, meaning ‘dusty feet’, at which any visiting traders could be tried and punished, or disputes settled, before the dust of the town was off their feet). The market brought prosperity to Hemel, which was previously mainly an agricultural area. It is reported (but obviously not corroborated) that King Henry VIII “courted” Anne Boleyn in Gadebridge Park when he stayed locally to hunt on the Ashridge Estate.